Get the information you need to know about good nutrition to feel, look and live your best! Realistic everyday tips to fit in fitness with crazy – hectic schedules! Easy snacks, appetizers and meals that taste great and the whole family will enjoy! My husband loves to entertain and we often have dinner guests for Saturday night. It’s become more casual over the years, and our guests occasionally cook with us. This Saturday was full of errands, engagements and chores. Four o’clock was approaching, and I hadn’t exercised yet, and our guests would be arriving by 5:15 -so I texted our friends to pack their sneakers and dress casually. The ladies took a long fast walk before dinner. It was lovely! We came back welcomed with wine poured and ready for consumption. We enjoyed the Landmark Vineyards Overlook Pinot Noir Vintage while cooking and the hints of candied orange zest complimented the blood orange salad perfectly! Living in southern California, I get to grow a variety of foods, including blueberries. We picked fresh Meyer’s lemons from my hybrid citrus tree and juiced them to accompany the arugula and shaved parmesan salad. 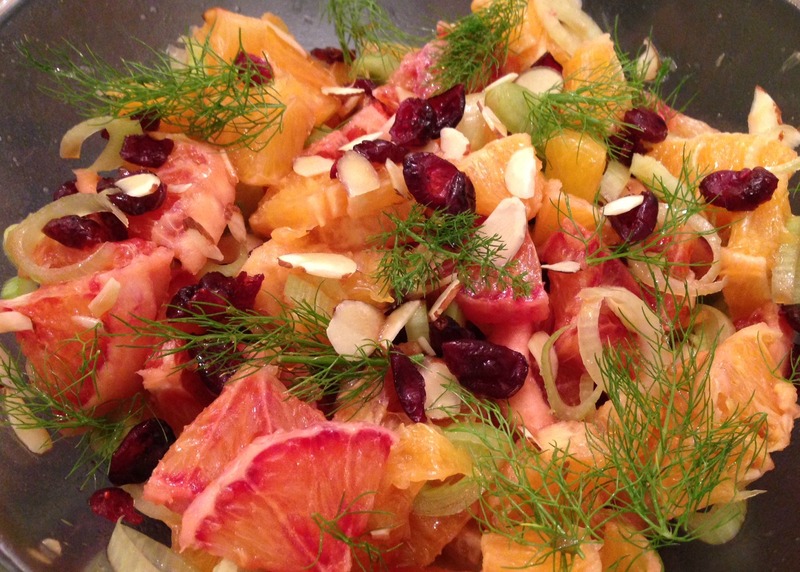 We also harvested fennel from our garden boxes and blood oranges from our dwarf citrus tree. Using fresh ingredients that are just picked adds the most amazing flavor. This is our friend Rich’s nonna’s recipe – it’s so versatile. You can eat it by itself, served on top of fish or meat, or with grains. His nonna put it on top of cooked oats growing up. We keep growing fennel because each time our Italian friend visits, we find new ways to enjoy it! 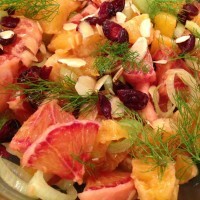 I hope you love this recipe as much as I do – it’s now one of my favorite salads! Enjoy this Article? Share the Love! We work with registered dietitians and nutrition scientists to provide nutrition education and healthy eating tips to help create future healthier generations through good nutrition. SuperKids Nutrition does not provide medical advice, medical nutrition therapy, diagnosis or treatment. See additional information. © 2019. MelissasHealthyLiving.com and Melissa Halas-Liang MA, RD, CDE. All Rights Reserved. Stay In The Know Receive Melissa's quarterly health guides, packed with healthy goodness for you and your entire family!